After another Massachusetts legislative session ended without passage of noncompete reform, stakeholders on both sides of the issue expressed disappointment that a deal didn’t get done. It’s not the outcome anyone wanted—or so they say—but that alone is evidence of how the debate shifted during the latest attempt to make changes to the state’s rules on employment noncompete agreements. “I’m proud by how much we moved the needle on this issue,” says Jody Rose, executive director of the New England Venture Capital Association (NEVCA), one of the groups that has lobbied most aggressively for curbing noncompetes in recent years. “We came a long way. It was down to the 11th hour. Never in our history have we been able to accomplish as much as we did in this” legislative session, she says. 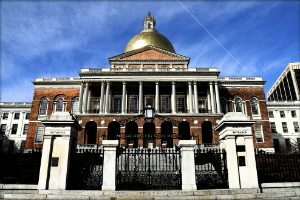 The Massachusetts House and Senate each passed bills limiting noncompete agreements, but a legislative conference committee was unable to agree on a version that would iron out the differences in the two chambers’ bills before the legislative session ended late Sunday night. When signing a noncompete agreement, an employee pledges not to take a job in the same field for a period of months or years after leaving their current company. Large employers and other supporters of these agreements say the contracts help companies keep competitors from poaching talented employees who might share information about their businesses’ inner workings, and also ensure their workers won’t jump ship to start a competing company. Opponents, like startup founders and their investors, argue noncompetes hamper innovation by keeping would-be entrepreneurs on the sidelines and restricting talent flow to startups. They say noncompetes hurt Massachusetts’s ability to keep the best tech workers (and aspiring entrepreneurs) from fleeing to California, where noncompetes are largely unenforceable. Noncompetes have been debated in Massachusetts for years. The current effort to reform the state’s rules began picking up steam around late 2007 when Spark Capital general partner Bijan Sabet wrote a blog post denouncing such contracts. “He kind of made a splash, well ahead of the rest of the VC community,” says Michael Rosen, a Foley Hoag attorney who focuses on employment law and writes a blog tracking noncompete law in Massachusetts. Before this year, the furthest that noncompete reform had gotten was passage of a bill by the state Senate, Rosen says. The House had shown less willingness to move on the issue. So, it was a crucial development when House Speaker Robert DeLeo announced in March that he wanted to impose limits on noncompetes (although not eliminate them). “The thought was, ‘Wow, the Speaker has gotten behind a reform bill. That seems to indicate significant momentum,’” Rosen says. The NEVCA initially sought to ban noncompetes entirely, Rose says. But large employers and the business groups lobbying for them were never going to go for that. But Gallagher emphasizes the council’s willingness to “not just assent to additional restrictions,” but actually support them. “We moved a long way from where we were a year or 18 months ago,” Gallagher says of his organization and other business groups that have resisted significant changes to Massachusetts noncompete laws. There was consensus, for example, on prohibiting noncompetes for hourly workers, interns, employees under age 19, and employees who get laid off; on notifying a new hire that he or she would be required to sign a noncompete; and on compensating ex-employees during the period of enforcing their noncompete agreement—a so-called “garden leave” provision. What lawmakers apparently couldn’t agree on were the exact rules governing that compensation during the noncompete’s enforcement period. The State House News Service reported that Senate representatives on the conference committee were willing to sign off on the House’s one-year limit on the length of noncompetes and requirement that, during that period, employers pay the former worker at half the rate of his or her previous salary. That proposal was less favorable to workers than the Senate’s bill that would have restricted noncompetes to three months and required employers to pay the former employee’s full salary during that period. But the conference committee members ultimately disagreed on rules for when the noncompete’s compensation terms would be negotiated between the employer and employee, the State House News Service reported. The result is no changes were made to the state’s noncompete rules, and the issue likely returns to the backburner for at least a few months. The next legislative session begins in January. “Now we’re back at square one, and we’ll have to see where things go from here,” Gallagher says. He says the next step for the Massachusetts High Technology Council is to “take the temperature of our members” and, in a few months, gauge the “appetite” of legislators to enact changes.